Everyone loves chocolate milk but it can be a pain to constantly stir it up with a spoon. Well, this new automatic chocolate milk mixer cup makes it alot easier to enjoy your favorite drink. The cup does all the work for you. 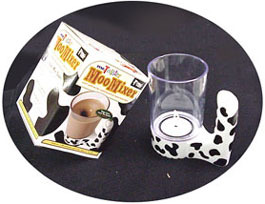 Just pour in the milk and chocolate and watch the mixer finish the task for you.